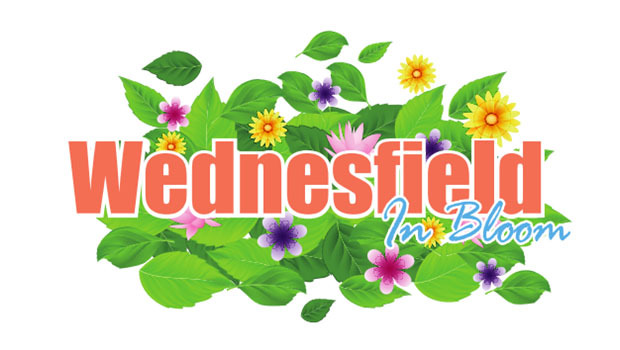 Making Wednesfield and Fallings Park a better place to live, work and play. Formed in 2015 from the ashes of the now defunct ‘Wednesfield and Fallings Park Local Neighbourhood Partnership’ we are involved in a wide range of community activities, some of which we lead on and some we collaborate on with other groups. To keep up to date with what we’re up to, why not join our mailing list? Other members: Ann Wood, Jean Shinton, Patricia Fullwood, Ken Jones, Paul Singh, Ranjit Dhillon, Alf Wardley, Les Simmonds, Jennie Hubbard, Angela Hall, Maureen Smith. Former Members: Bob Simmonds, Bernadette Hennelley, Steph Clarke. We are involved in many different types of community projects, some of which we lead on and others we support local groups and charities with. 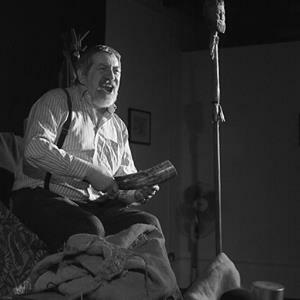 Hands on Wednesfield, Creative Black Country and Regional Voice Theatre presents Tony Barrett performing The Life & Times of the Tat Man By David Calcutt at Northycote Farm. Hands On Wednesfield spear-headed a crowd-funding campaign to raise £4,000 to go towards improving the 2016 Christmas Lights in Wednesfield. The Wednesfield In Bloom team, made up of local volunteers led by Hands On Wednesfield, have been working hard to identify areas and projects that can benefit from improvement. 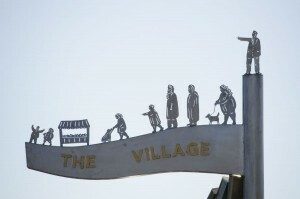 Judges will visit Wednesfield on Friday 1st July to see how the village, park, canal and area in general have been improved by those that live and work here. Groundworks offers local community groups the opportunity to start an exciting creative journey. Hands On Wednesfield is one of twelve community groups paired up with an Arts Coordinator and Development Worker to plan activities that encourage new artistic experiences in 2016. We are planning to add a number of performances to existing events in Wednesfield in 2016. In March / April 2016 members of HOW supported Wednesfield History Society when the bought the Staffordshire Hoard Mercian Trail Touring Exhibition to Wednesfield. 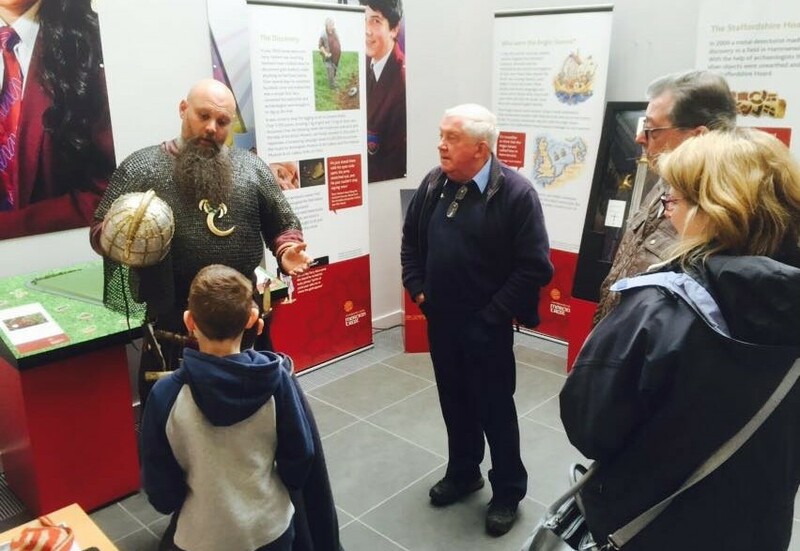 The touring exhibition gave local people the opportunity to see the Hoard up close, learn more about how the Hoard was discovered only a few miles away and even dress up as Saxons and Vikings! The exhibition really bought to life the largest ever find of Saxon loot, perhaps some of it was seized at the Battle of Wodensfield? In August 2015 and 2016 we supported Wednesfield History Society as they held a community fun day and re-enactment of the Battle Of Wodensfield. 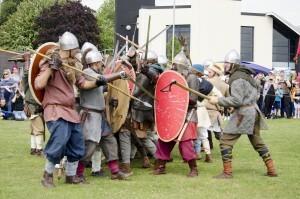 The events each attracted over 800 local people who saw the Saxons defend Wednesfield from the Viking raiders! HOW members were involved in stewarding the event and also ran a stall promoting our activities. 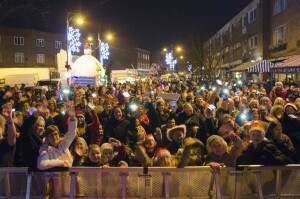 Over the past few years HOW has been involved in the annual Christmas Lights switch on event in Wednesfield. We have helped to organise the popular charity market, run competitions to decide who will switch the lights on and organised the carol service at St Thomas’ Church. 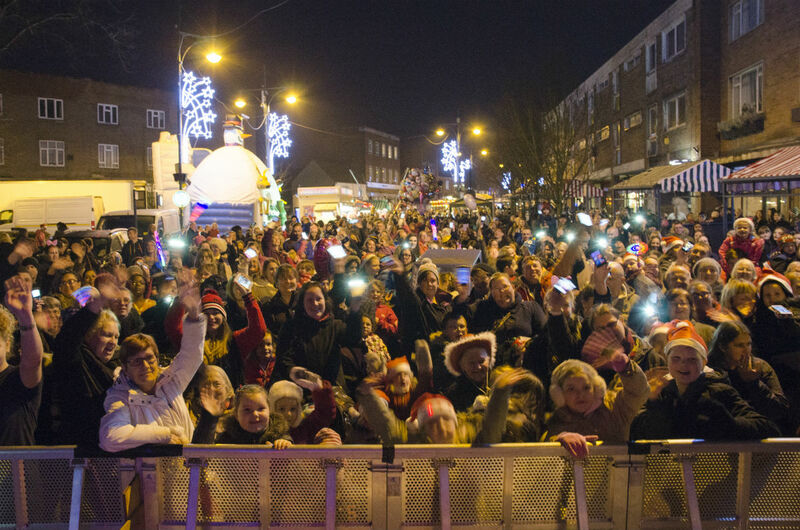 The switch on is now a major event in Wednesfield and we will continue to support this successful local event! HOW takes part in and supports numerous community fun days, including events in Ashmore Park, Long Knowle, Moat House and Wednesfield. You’ll find us at events held in community centres, parks and public spaces all year round. We are very proud to have lead on the Wednesfield Sculpture Trail project located outside the Library & Community Centre in Well Lane. Over a 3 year period HOW was involved in every element of the project; from commissioning artists and running public consultations, to overseeing the installation and maintenance of the five fantastic pieces of art that represent the people of Wednesfield. 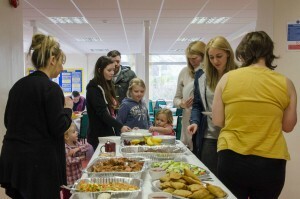 In early 2015, with the help of community funding we held two free ‘Neighbourhood Nosh’ events. 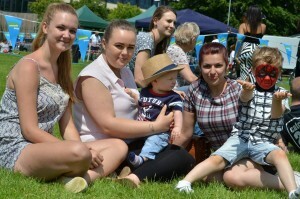 The Nosh events gave local people the chance to meet their neighbours and find out more about HOW whilst enjoying a free meal which was provided by a local Community Interest Company. All of the children who attended went home with a free goodie bag and an easter egg! 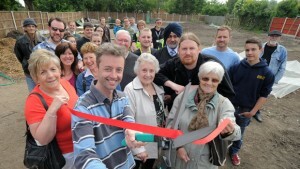 We were part of the huge collaborative effort that turned the concept into reality and launched Wednesfield’s first organic community garden. Located in Lich Avenue, over 100 people were involved in the launch, which was covered live on BBC Radio WM during a week of outside broadcasts. HOW board members sat on Community First Funding Panels in both Wednesfield South and Fallings Park where they oversaw the distribution of over £60,000 worth of funding to local groups. 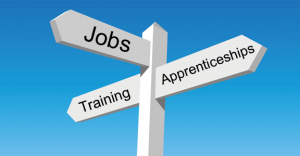 We have helped to hold skills and employment events, enabling local job seekers to meet employers and training providers. Stay in touch for more! We’d love you to come to our next event, so why not join our mailing list or follow us on social media to find out what’s happening? If you’d like to get in touch regarding anything HOW related, please email us on info@handsonwednesfield.org or message us on social media. You can also join our mailing list to find out about events and project we’re involved with.